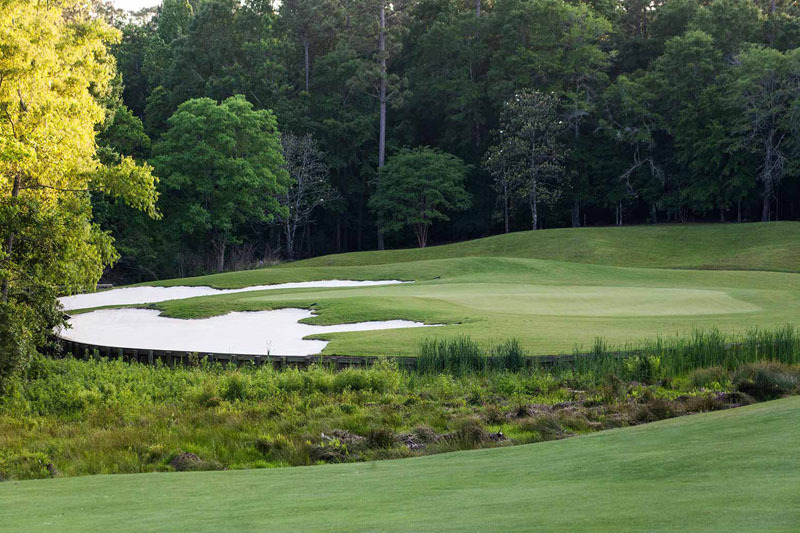 The property at Magnolia Grove includes creeks, marshland, and lakes, with each of the 36 holes carved from a thick forest of hardwood and pine. 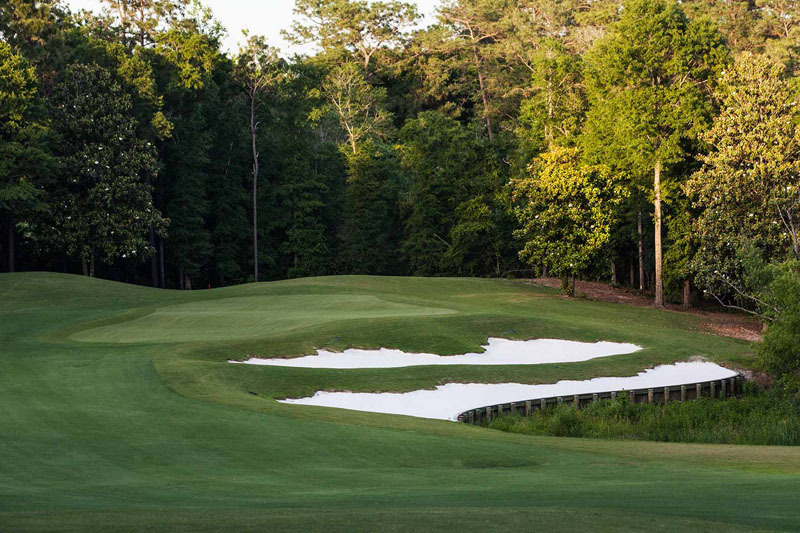 The highly-rated Falls Course is characterized by large, liberally contoured greens, massive cloverleaf bunkers and plays around more water hazards and marsh areas than its sister course The Crossings. The course is named for the small waterfall in view between the 9th and 10th holes. On the 10th, a 570-yard par-five, and possibly the most strategic hole on the course, a waterfall cascades across stair steps just beneath a tiered green that falls eight feet from front to back. 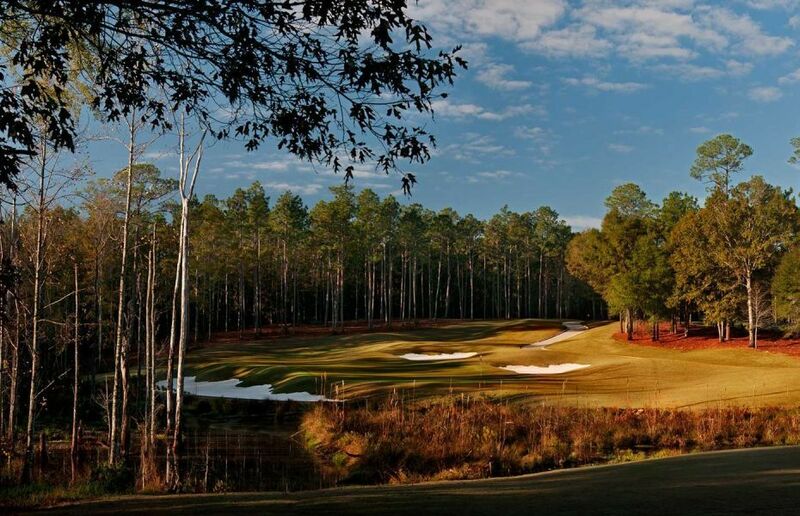 Always challenging and very scenic, The Falls Course is always a memorable experience.